At the heart of the GROCO U-LUBE System is a powerful gear pump that delivers an honest 3-plus GPM. All models have dry-run protection, touchpad control, a plumbing schematic to tell you what hose goes where, and a handy maintenance log. 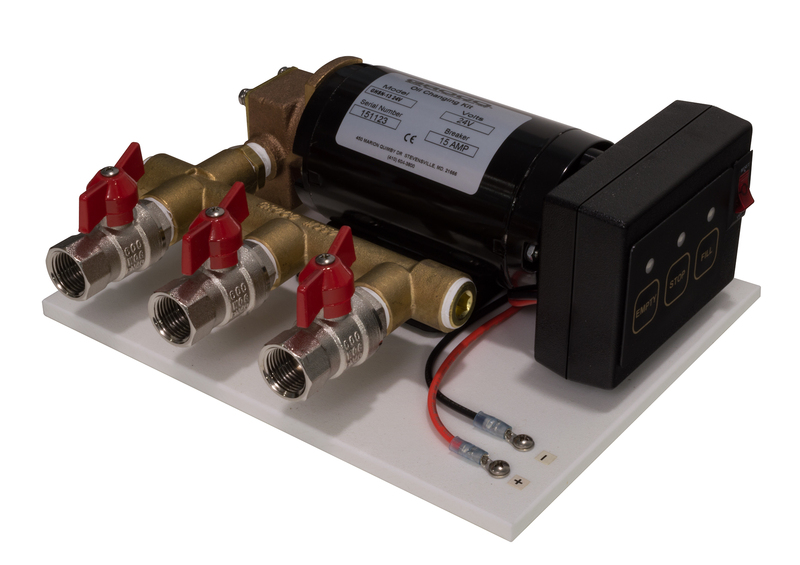 Models are offered with 3, 4, 5 or 6 valves to connect all of the devices you want to service. A complete assortment of oil pan adaptors, related fittings and valves are offered to complete your installation. GHSN-3, G-4, G-5 and G-6 are not covered, and offer a compact mount footprint. Touch-pad control and over-current protection are cover-mounted. An optional safety circuit can be provided to disable the pump if any of the connected engines is operating. Contact GROCO for details. Powerful gearpump delivers nearly twice the flow as competitive models. 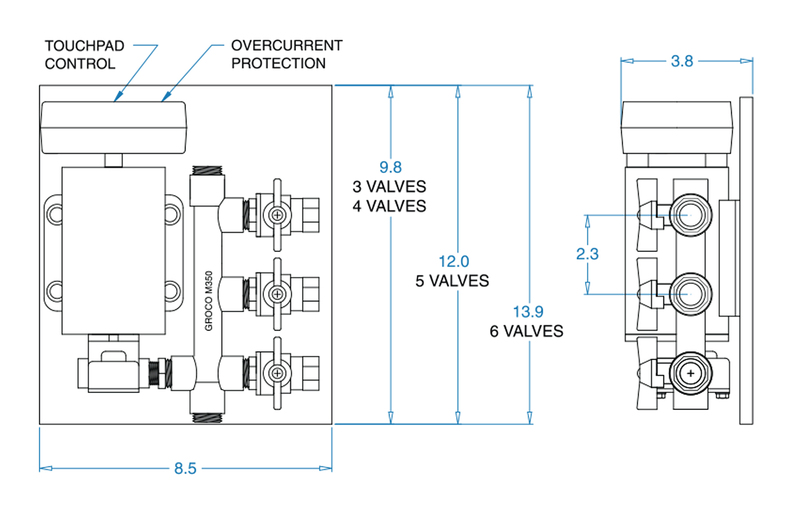 System sizes from 3 valves to 6 valves . Resettable overcurrent and dry-run protection.